The Image Gallery and Info Slider Plugin is a great way to showcase images and create a slideshow in your app. What is the Image Gallery and Info Slider Plugin? The Image Gallery and Info Slider Plugin is a great way to showcase full-screen images in your app! 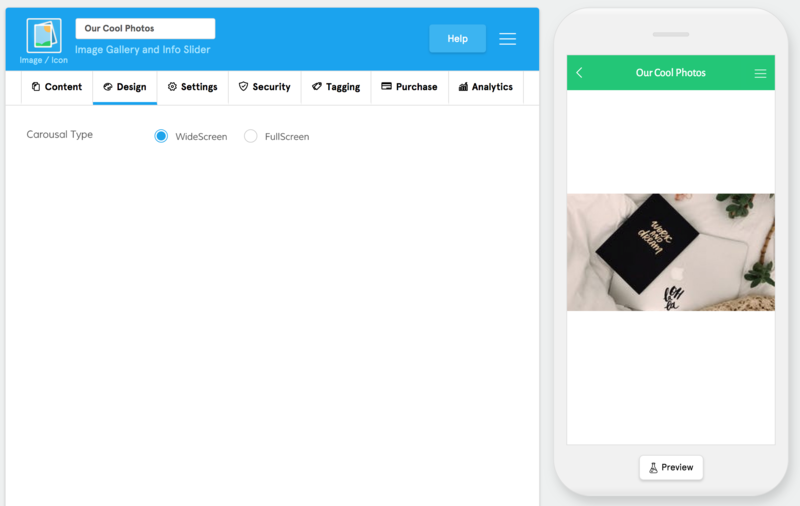 If you’re creating an app that’s very visually heavy, like an art portfolio or if you’d like to showcase multiple images of one of your products, then the Slider Plugin is a powerful tool for you! It allows you to control the image slideshow speeds and the image size to your liking. What are some use cases of the Image Gallery and Info Slider Plugin? Restaurant App: showcase your food and nutritional information. Motivational App: you can use the Slider Plugin to display inspirational quotes. Fashion App: show off the latest collections and trends. What are the Image Gallery and Info Slider Plugin’s primary functions and what are the steps to accomplish them? The Image Gallery and Info Slider Plugin provides some amazing functionality as described in the introduction, but read on to see what some of the core features are and how to use them. Step 2: Select your images from the Media Library and click "Insert Image(s)"
The image carousel is a core component that is utilized across several features to streamline your user experience. 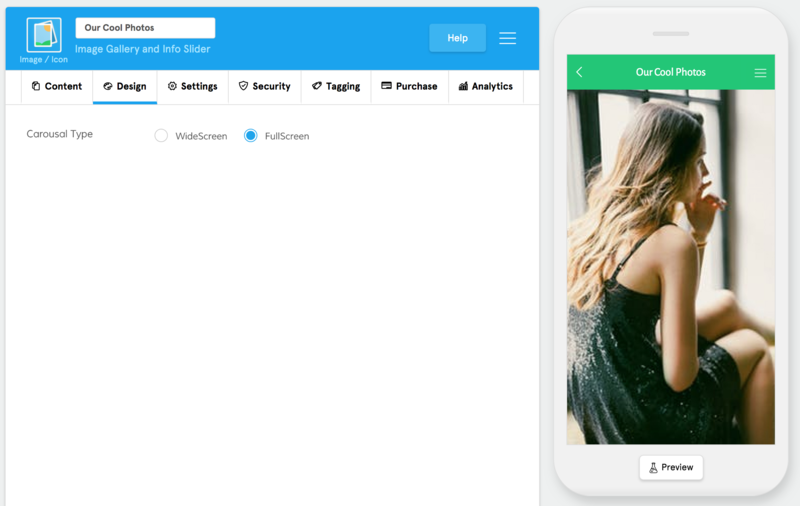 With it, you can add images to your feature and then attach various actions such as linking to app content, calling a phone number, sending an email, sending a text message, opening a map, and more using our action builder. Since this is a core component, we’ve created a dedicated article about how to use the image carousel here. In App Purchases is a great way to sell access to features to increase your revenue. Since this is a core component, we’ve created dedicated articles about how to set up In-App Purchases here. If at anytime you’d like to change the order of the images, simply click on the three bars to the left of the image and drag the images to the desired position. Get creative with what images you use! You can showcase the food at your restaurant, include daily inspirational quotes, or could tell a sequential story. The possibilities are limitless!